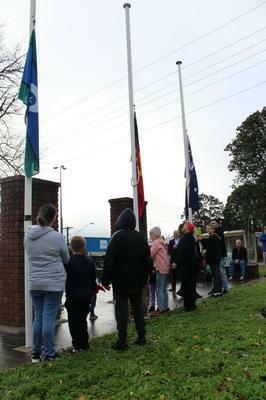 Baw Baw Shire Council has shared in NAIDOC Week celebrations with the local Aboriginal and Torres Strait Islander community at a flag raising event in Drouin’s Memorial Park on Monday 9 July. The theme for NAIDOC Week 2018 is Because of Her, We Can! and celebrates Aboriginal and Torres Strait Islander women who have played, and continue to play, active and significant roles at the community, local, state and national levels. Despite the winter morning chill, many gathered in Drouin’s Memorial Park to enjoy a warm breakfast served by the Rotary Club of Drouin and share in the annual celebration of Aboriginal and Torres Strait Islander culture and achievements. 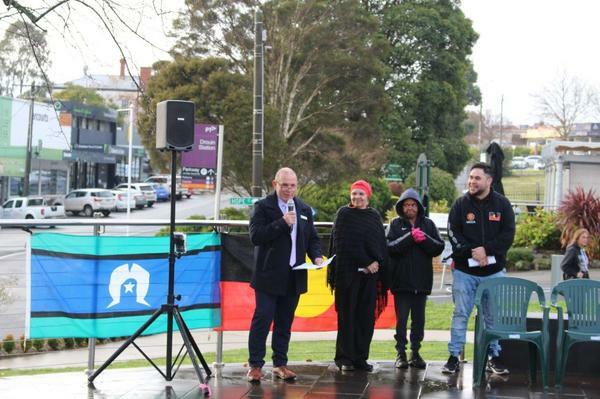 Mayor of Baw Baw Shire Councillor Joe Gauci was joined on stage by local Elder Grace Hayes who welcomed people to Country alongside Merle Rose and Lionel Rose Junior. Also in attendance was Cr Mikaela Power and CEO Alison Leighton. The Mayor spoke of the many significant indigenous female leaders, trailblazers, politicians, and social change activists who have fought and continue to fight for justice and equal rights. “We can all recognise that history has not fairly represented women in politics, business, sport, art, education, community and family. Today we are challenging that misrepresentation,” he said. “We are reminded of prominent pioneering women like Barangaroo, Truganini, Gladys Elphick, Mum Shirl, Ellie Gaffney and Gladys Tybingoompa to name a few. Locally, women including Grace Hayes, Merle Rose, Cheryl Drayton, Pauline Mullett, Linda Mullett, Kaylene McKinnon, Sherralee Dow, Heather Hood, Belinda Crawford, and Lisa Williams are just a handful of the people who are working to support a strong aboriginal culture. “We celebrate the women who stand for a better life, greater opportunities, an inclusive community and equality for their children, families and the greater indigenous community,” the Mayor continued. 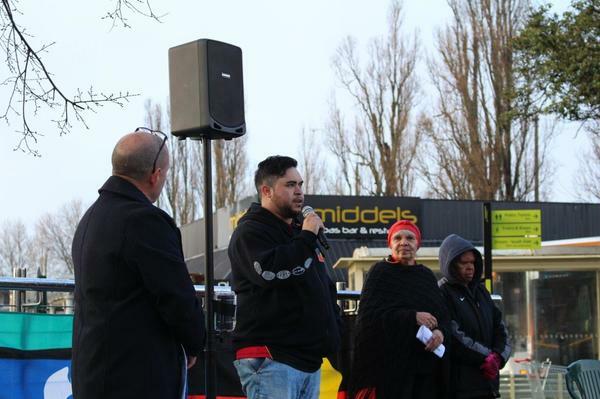 He also spoke of council’s commitment to continue working respectfully with the Aboriginal community. To find out more about the history and significant influence of Aboriginal and Torres Strait Islander women visit NAIDOC Week 2018 Theme.